Bron Broen, also know as The Bridge in the English speaking countries is an brilliant crime fiction tv-series were two detectives, Swedish Saga Nören(played by Sofia Helin) and Danish Martin Rhode(played by Kim Bodnia, he is part of the cast for the two first season) solve rather brutal and mysterious murders, which seem to have an message of sorts. The murders indeed are connected to different issues in the present day world, the first season having things to do with the equality under law, and second season theme revolving around environmental issues. 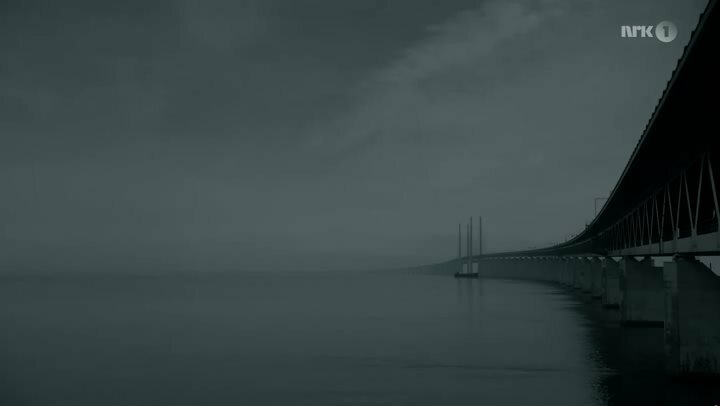 The Bridge usually opens with an rather weird murder, involving the police forces from both Denmark and Sweden. In the beginning the Bridge usually introduces an rather vast amount of characters, which in the start might seem to have nothing to do with the murder cases. But as the season goes on and more and more is revealed, the connections that the different characters have to the plot and the crimes at hand is revealed. It might be look little troublesome at first since there are so many characters, but they will tie into to the story pretty well, and the viewer does not lose the track of the story. Scandinavian noir or Scandinavian crime fiction, also called Nordic noir, is a genre comprising crime fiction written in Scandinavia with certain common characteristics, typically in a realistic style with a dark, morally complex mood. According to one critic, "Nordic crime fiction carries a more respectable cachet... than similar genre fiction produced in Britain or the US". Language, heroes and settings are three commonalities in the genre, which features plain, direct writing style without metaphor. The novels are often of the police procedural subgenre, focusing on the monotonous, day-to-day work of police, though not always involving the simultaneous investigation of several crimes. Examples include The Girl with the Dragon Tattoo and its sequels by Stieg Larsson, and Henning Mankell's Kurt Wallander detective series. Some critics attribute the genre's success to a distinctive and appealing style, "realistic, simple and precise…and stripped of unnecessary words". Their protagonists are typically detectives worn down by cares and far from simply heroic. As the series goes on, the viewer learns more about Saga, about her past and also watches how she learns social skills from Martin, and other people around her. Martin in the other hand is an caring, emotional person, who possess good social skills. The viewer also leans more about Martin as the series goes on, and you really learn to care about the characters. The way The Bride is filmed and the setting gives the show a rather cold and sterile feeling. It`s usually fall in the show, which gives the cold atmosphere and because of this the character were coats and warm clothes. The characters themselves are also sometimes a bit cold and broken, having troubles in their lives. These moments are lightened by humor and warm moments between them. The characters also feel like normal humans, not some super models wearing bright caramel colored clothes like you would see in CSI: Miami. The cold and depressing atmosphere is finalized with an rather melancholic soundtrack. The series opening song is called Hollow Talk. Here is the intro of the Bridge if anybody is curious:https://www.youtube.com/watch? v=3qEaG4Dw3FE I think it shows pretty well part of the atmosphere. Here are also trailers for season I, II and III. Warning! The later trailers might contain massive spoilers for past season! Season III has started a few days ago and episode 5 just aired. It was really good like the previous episodes were, and I am really interested how the plot will progress. The characters are really good, the story is dark, sad and depressing. I am having major feels almost all the time. Writing is top notch, and this is completed by the beautiful setting and melancholic music. I am not sure what else to say. I really recommend watching this show if you can find it. I think it has a few episodes i YouTube, and I remember reading that Netflix has started airing this, until I a not 100% sure about that. Anybody hear watching this? Are you enjoying it as much as I do? What do you think will happen next?